Back to reality with a bump today! This time last week I was checking out what Berlin has to offer! So, what better way to combat the back to reality blues than a round-up of what we got up to. Now this will be a whistle stop tour as we did so so much in our 5 days. Above is a few of my Instragram pictures from the week as I thought that would be a good start to this round-up. One of the must see places for me in Berlin, was The Jewish Museum. I have studied this building for years and have read so much about it and so it was definitely somewhere that had to be visited. The Memory Void has an installation by the artist Menashe Kadishman called 'Shalekhet' or 'Fallen Leaves', in which he has dedicated the over 10,000 faces covering the floor to all innocent victims of war and violence. It was hauntingly beautiful and worth a visit. Then of course we had to go to the Branderburg Tor as its such a symbol for freedom in the city. So many soldiers and everyday people have walked through this gate. It was pretty amazing at night too. The Reichstag (Parliament) was pretty amazing too, we managed to go up to the dome one evening too, as you can see from the Instagram pictures above. We stumbled across many things whilst we were walking around the city and the Holocaust Memorial was one such thing. Some of the concrete structures are up to 2m high and really made you feel shadowed and intimidated which I am sure was part of the plan. Obviously we couldn't go to Berlin without seeing the Berlin Wall. There are pieces still up around the city and some have been placed in museums, but this part was still standing in it's original position. I was only 9 when the wall came down, but I do remember seeing images of people sat on top of it and smashing it down with sledgehammers on the day it started coming down. Another must see for me was the Bauhaus Archive, a big architecture geek here! Some of the museum was closed due to a new exhibition going in, but we still managed to see some of the furniture and drawings from the original Bauhaus school. The Berlin Dome was pretty amazing too. I prefer modern architecture, but it's always good to see what the past has in store for us. We went to so many museums on our trip, but the Museum of Things was recommended by a friend and it is definitely worth a trip, all manner of objects in cases, just how I love my random places. On our last day we went to a place called The Story of Berlin, which was really cool, lots of interactive parts and great Storytelling. There was so much more that we did in the week, I think we managed to pretty much be out at least 10 hours of the day. So much to see and do. We even managed a bit of shopping too and found that C&A is alive and well in Berlin! Do you remember them? I thought a plane shot would be good too. Something to round off this post. 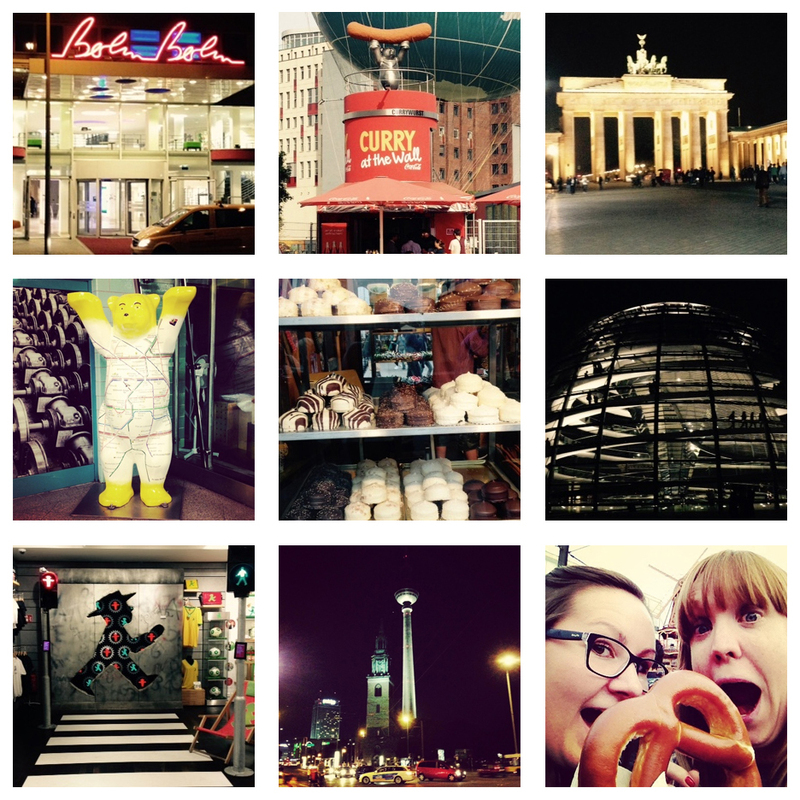 Have you been to Berlin, what was your highlight? I love city breaks and so I am going to have to think of where to go next, would love to go to Amsterdam or back to Barcelona perhaps. Where is your favourite City? Off to eat a pastry with my chai latte, just like on holiday! Some things should stay in your back-to-reality life I think. I loved Barcelona but Prague is also on my wish list. Prague is meant to be amazing. Would love to go there. I know about C&A right! I even bought something! My teenage self would think me very uncool!